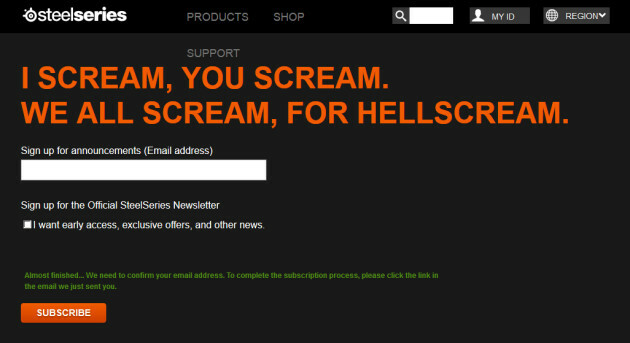 The URL was leading to a “Not Found” page, but now it is redirecting to a email subscription page with the following text: “I SCREAM, YOU SCREAM. The new product yet to be officially announced is the SteelSeries World of Warcraft Siberia Elite. War Crimes is slated to ship on May 6th, which means the press release might arrive before or (any time) after this Sunday 11:59pm.